The Pro-Iso™ is a +4dB to -10dB converter that employs a cost effective transformer that focuses the energy in the voice range. 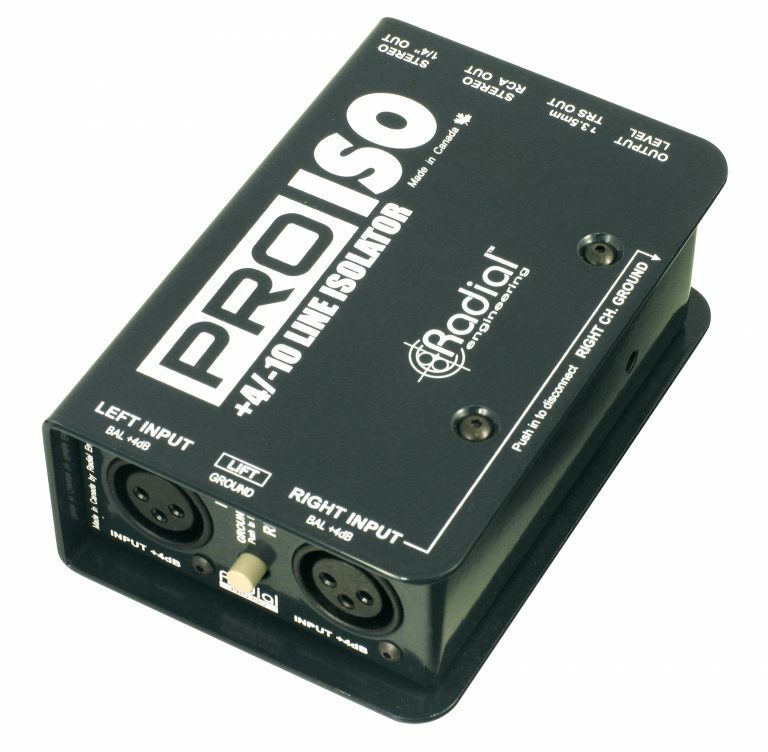 This makes the Pro-Iso a great choice for sermons, news gathering and spoken voice. 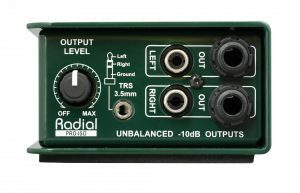 The passive design begins with 100% discrete components throughout. 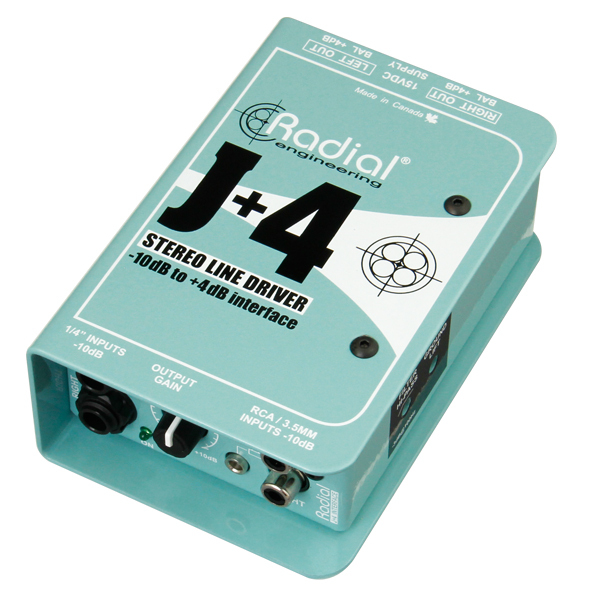 A set & forget level control lets you attenuate the input signal to prevent it from overloading the destination device. 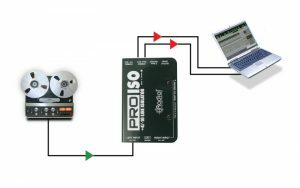 Output connections include a stereo pair of ¼" connectors, a set of RCAs and a mini 3.5mm (1/8") for interfacing to a mini recorder or lap-top computer. 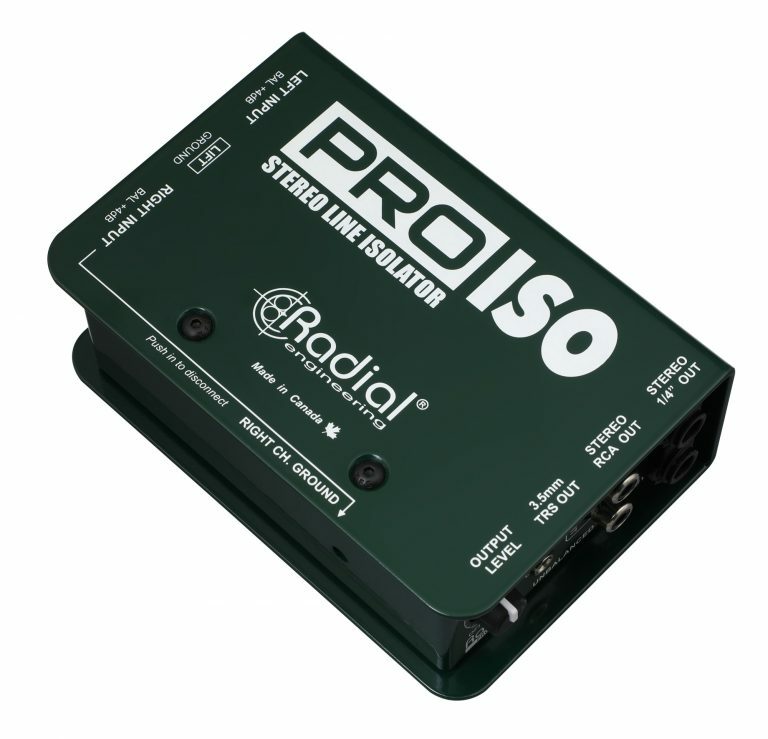 Transformer isolation helps eliminate hum and buzz caused by ground loops while eliminating stray DC currents from flowing. Often, the available output on a professional console is balanced +4dB. 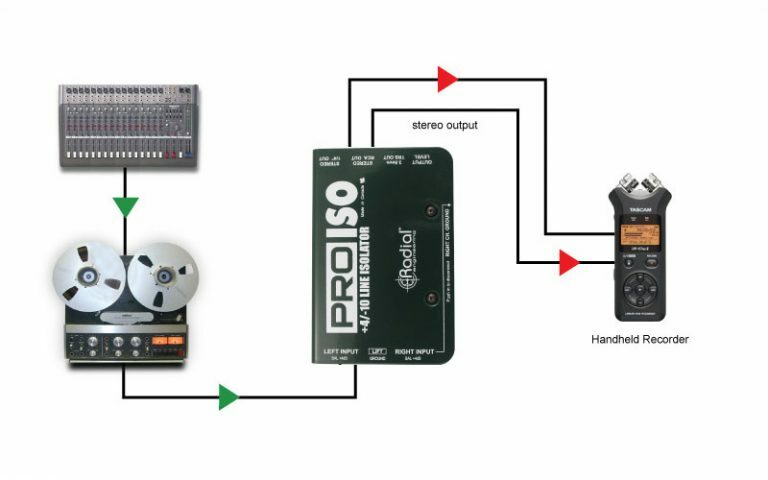 This makes it difficult to feed a portable recorder. 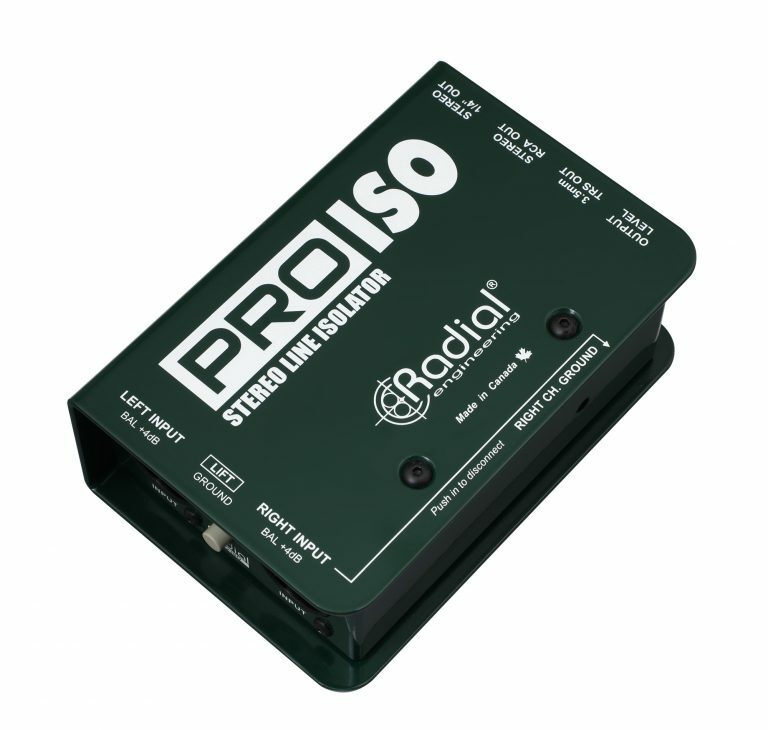 The Pro-Iso comes to the rescue with a simple interface and all of the connectivity you need. 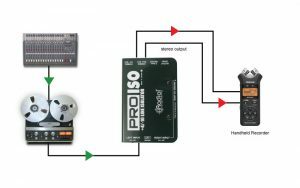 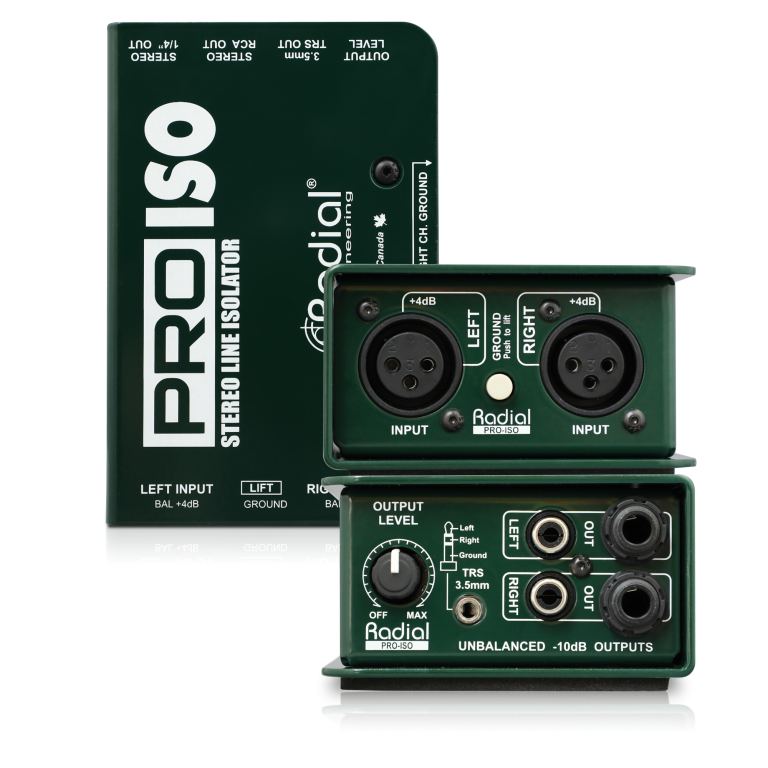 The Pro-Iso makes it easy to convert the balanced line level output from a preamp to a CD player or other consumer device. 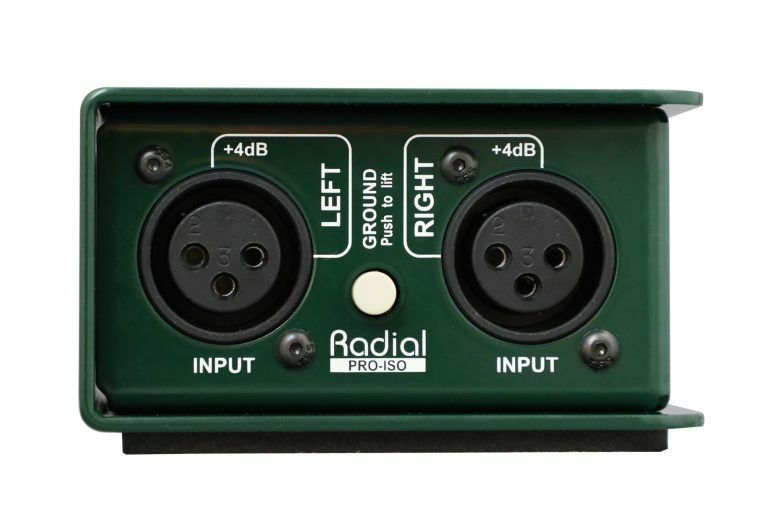 Transformer isolation further benefits by eliminating hum and buzz caused by ground loops. Computers are noisy at the best of times! 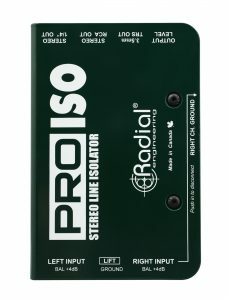 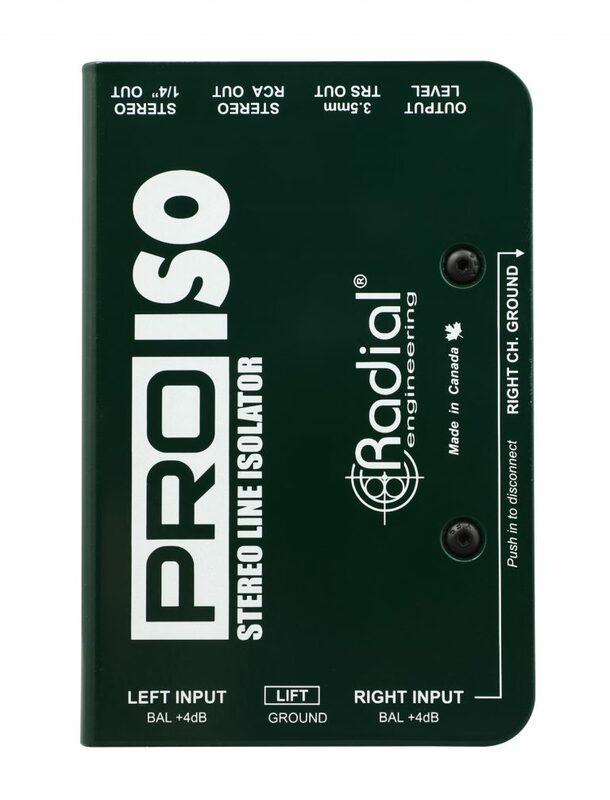 The Radial Pro-Iso's effective transformers help eliminate buzz and hum while delivering exceptional audio. 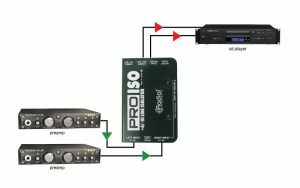 Adjust the set & forget level control on the Pro-Iso to set signal level. 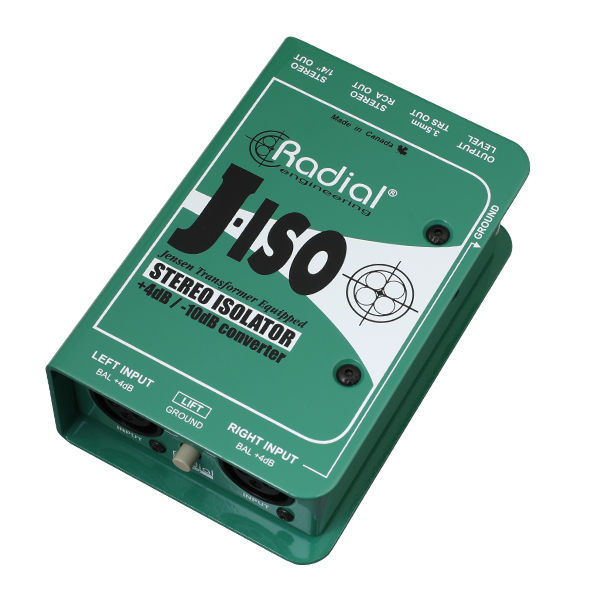 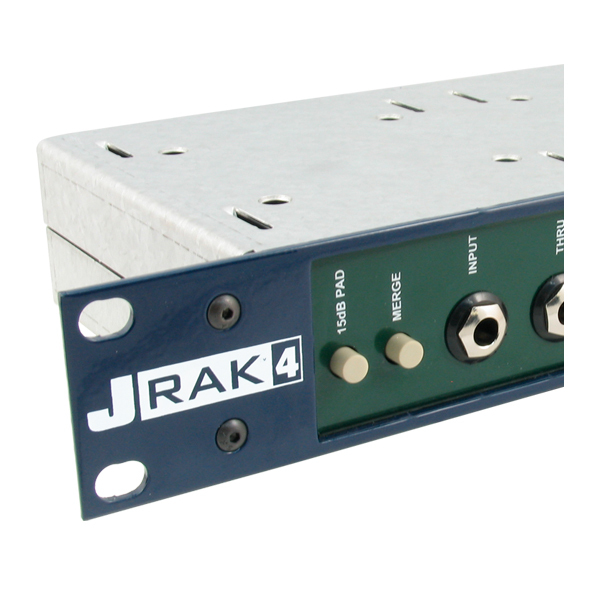 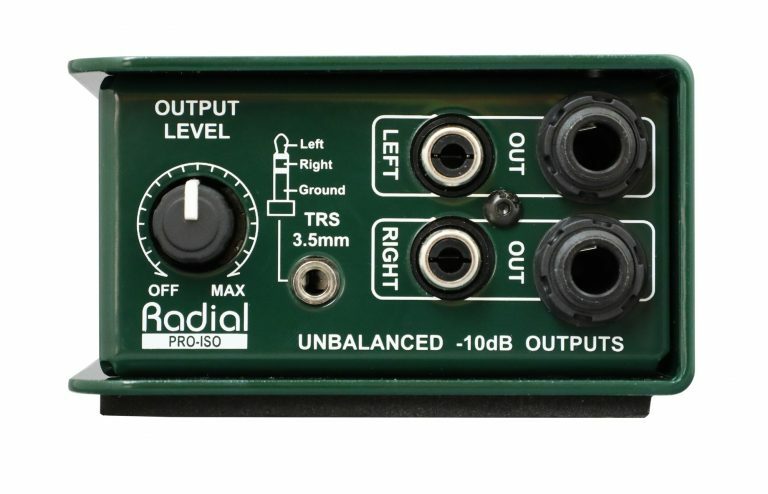 The Radial J-ISO is a full bandwidth stereo interface that converts +4dB balanced line level signals to an unbalanced consumer level output. 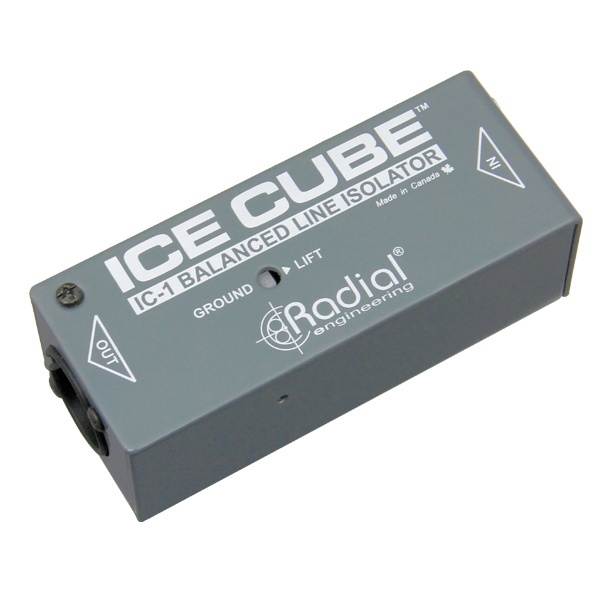 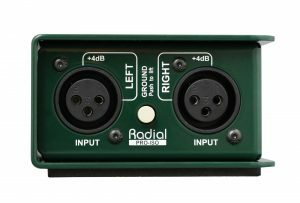 The Radial IceCube IC-1 is a balanced line level isolator designed to quickly eliminate hum and buzz problems in an audio system by simply inserting it into the signal path. 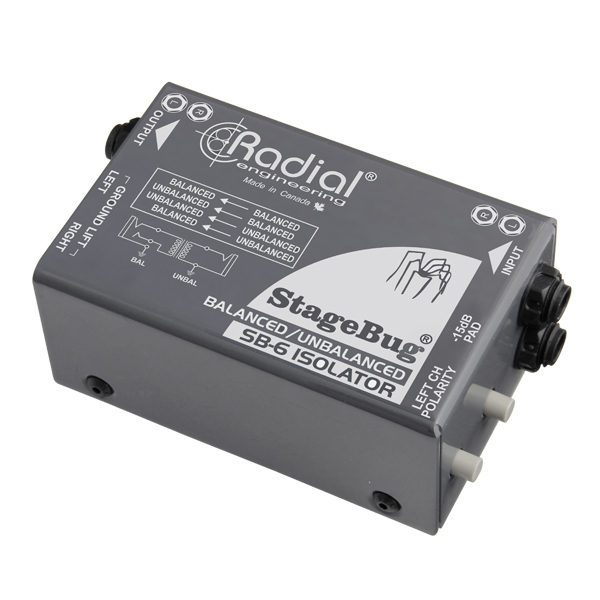 The StageBug SB-6 is a high performance 2-channel passive audio isolator designed to accommodate both balanced & unbalanced signals.